A laser based white light source for automotive, portable and specialty lighting has demonstrated a white light source with 1000 lumens. 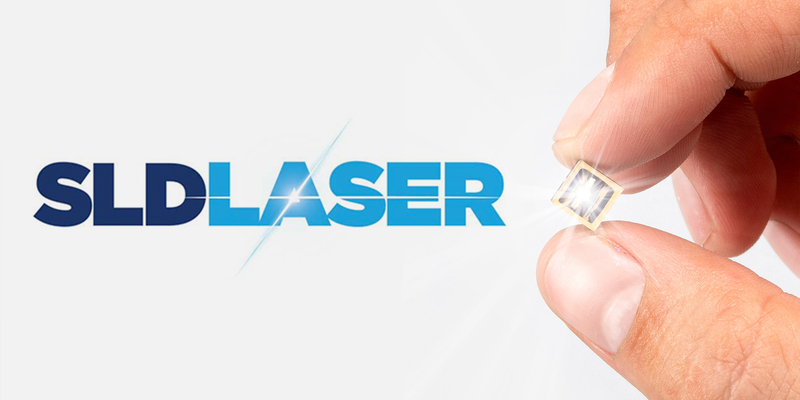 SLD Laser, a world leader in commercialization of visible laser light sources, today announced it has demonstrated a laser based white light source with 1000 lumens CW output from its miniature 7mm surface mount device (SMD) package. Built on its award winning LaserLight SMD platform, this lumen output is more than two times higher than SLD Laser’s current generation of commercialized light sources and modules. The light emitting surface is 350 microns in diameter, corresponding to a luminance level of approximately 1530 million candela per square meter (Mcd/m2), an industry first for any solid state light source, and about 10 times higher than the highest luminance LEDs.